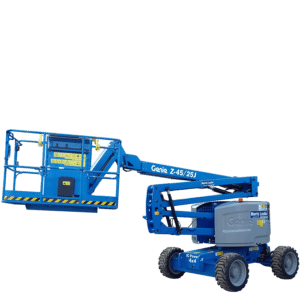 Our Genie® DC and Bi-Energy articulating booms offer quiet, emission-free operation in the most sensitive work environments. For industrial applications where the machine must be driven significant distances, the Genie bi-energy system combines the benefits of a 48V DC machine with the versatility of a diesel-powered generator. 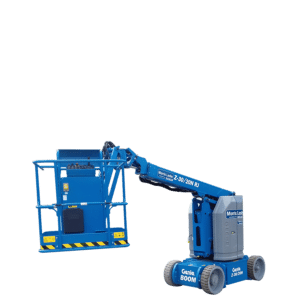 Drive through standard doorways, work close to buildings or around obstacles, and access overhead work from aisles and other congested areas. It’s all possible with Genie® narrow electric lifts. 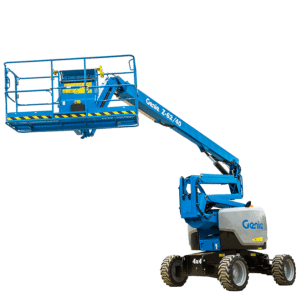 From tight turning to a rotating platform, they’re designed with features that make it easy to manoeuvre precisely where you need to work.